It seems to be the consensus here in my part of New England, the gardens are not growing all that well. Not that I know that many people, but almost everyone I do know has a small backyard, or patio garden. Just last night, one of my neighbors walked by and we chatted for a few minutes. I know she has beautiful raised garden beds behind her house, so I asked how the garden was growing. She said it’s not producing well. My sister grows all her vegetables on a big, sunny deck in front of her house. It’s convenient to care for, as she works long hours each day. But this year she doesn’t even have zucchini growing. If we lived closer I would have some extra to give her. 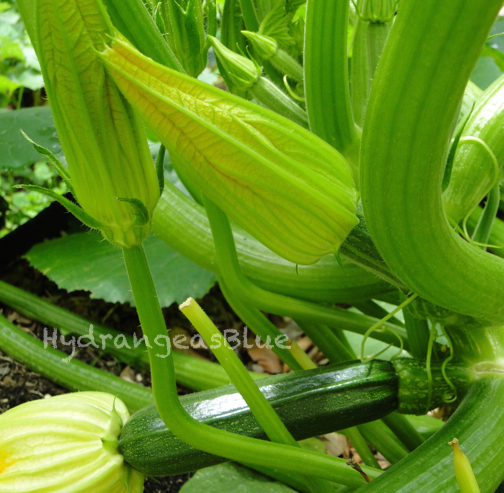 My zucchini started off slowly, but now I’m picking one or two from the two plants I have. The cucumber is really slow. I’ve only had 2 cukes so far. And the hot pepper plant is also not producing the many peppers I remember having last year. The only thing that is doing better this year than last is my garlic. Even the parsley, one of my favorite things, is not all that big. It’s now August and I’ve had a few cherry tomatoes, but the bigger ones are all still green. That is typical for my yard, as I get less sun than the plants really need. I think most of my veggies take longer to grow because of that. I am holding out hope for the tomatoes this year after suffering a huge loss from late blight last year. It still sickens me to think about it. 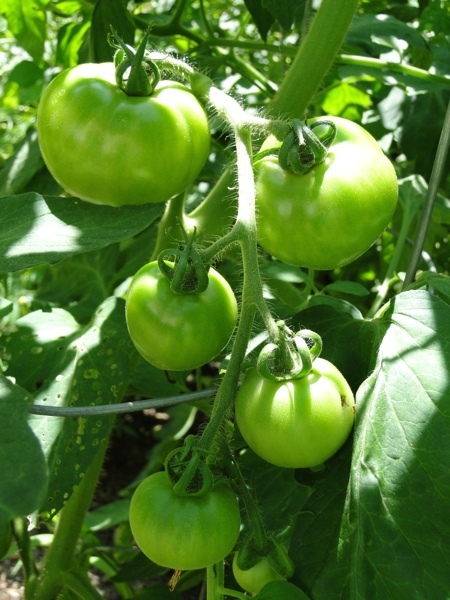 Although I’ve read that cutting the tomato plants as the season comes to an end is a good idea (it supposedly puts energy into producing the fruit instead) I’ve recently discovered that it can lead to disease. As I did cut my plants last year, and then got the blight, I won’t be cutting my plants this year. I am leaving them alone! Even the hydrangeas are not blooming well. My blue ‘endless summer’ has 2 small blue flowers down at the base of the plant. My neighbor has some hydrangeas along the front of her property, and they look about the same as mine. No flowers, except a couple of small ones down low. The only hydrangeas I have that are blooming well are the Pinky Winky (I love this plant) and the new Blushing Bride I propagated last year. I’ve been taking lots of photos of the yard and garden, but getting them uploaded and ready to use is another story. Soon I will have lots of pictures to share, but I’m always a little behind with that. We seem to blame everything on the bad winter we just had, but can we blame sparse gardens on it too?